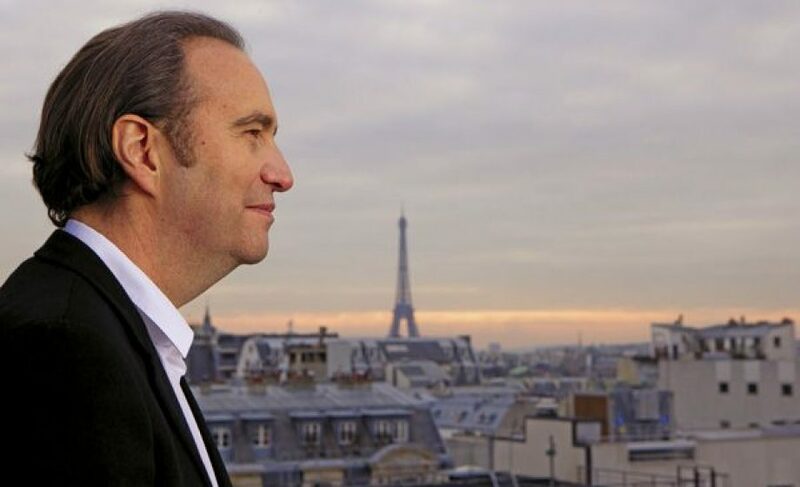 Rumors have begun circulating that Xavier Niel will announce a “ecole de programmation” tomorrow morning. Journalists received invitations to a press conference for tomorrow morning, but, like all things with Niel, this launch has been months in the making. While the news that Niel will launch a school dedicated to IT is interesting – the rumor leaked originally by Olivier Ezratty this morning – it doesn’t tell us much, especially when you consider that Xavier Niel already has a school that he cofounded with Jacques-Antoine Granjon – EEMI. However, a source close the announcement has told us that it’s more than just another IT university – it’s a revolution in the way developers are trained. What’s really big about Xavier Niel is the possibility to innovate on the education system. A source close to the announcement tells us that Niel’s new school will accept up to 1000 students per year, and after a few months 3/4 of those will be weeded out, leaving just the top-tier students. Perhaps this ability to identify top talent comes from the EpiTech experience that the founders have had; their program is known for being tough and a little crazy. The second thing, is that tuition is free. Niel knows all too well that if you want to get people to use your product, make it cheaper than the competition. And with public school in Paris so cheap, Niel’s rumored to be making tuition 100% free. Right now, it’s not clear how Niel would monetize – but with an army of developers, I’m sure he can find away to make up the lost tuition money. Students will be taken right after high school, and the program will last 3 years, according to one source, though it’s been refuted by another. The goal here would be to have students ready to work more quickly – I know one EpiTech student who was a CTO for a few months during his internship at a very well-known media group here in Paris. There’s no doubt that these directors have what it takes to produce great developers. Exactly. EPITA is the engineering school. people who are called quentin have a strong reputation of making stupid and unfounded comments. Dit un gars d’une école concurrente ou de la Grande Soeur aigrie d’Epitech? In France, a school must have an agreement with CTI (Commission des Titres d’Ingénieurs) to deliver an official engineering diploma (which is given by French state). Epitech is a school which procures a diplome which has not the same “value” than an engineering diploma accredited by CTI. On the other side, Epita gives a CTI accredited diploma. At the end of the day it’s kinda the same thing init? Non je te rassure je préfère encore Epitech à Supinfo. J’ai rien contre Epitech mais c’est pas une école d’ingénieur, on y fait pas de math, on apprend pas a résonner. On met juste les mains dans le cambouis, dans la technique à 400%. Après je ne n’ai pas a juger l’intérêt de cette formation, chacun ses gouts. @Quentin: Comment peut tu dire de telles choses ?!? As tu fais la formation EPITECH ? Si non, merci de ne pas t’avancer dans des propos / dires que tu ne maîtrise pas ! Le “on apprend pas a résonner” est le contraire de la formation EPITECH ! Pour ce qui est du “On met juste les mains dans le cambouis, dans la technique à 400%”, voila un joli discours d’un élève de “Supinfo” qui n’a toujours pas de travail du fait de sa formation et / ou de la réputation de son école ! Pour ce qui est du “Après je ne n’ai pas a juger l’intérêt de cette formation, chacun ses gouts.”; Que fais tu dans la vie ? As tu un travail ? C’est ça, va raconter ton point de vue extrêmement pertinent à toute la clique de programmeurs (Zuckerberg, Page, Wozniak, Gates, Graham…) qui ont crée la Silicon Valley et qui pulvérisent “la capacité de raisonner” des ingénieurs cti Français, dont le monde entier se fout éperdument par ailleurs. Mais dans un sens il a raison, tous ces gars que tu cites n’ont pas été formés dans des écoles comme Epitech, mais plutôt Harvard … ce genre de bahuts … Et on y fait des maths. The funny thing is, it has bugs in it (mem_set for instance). How exactly can an intern be a CTO during an internship?